I loved this song from first listen. It came out during my college years, and I bought the 45. (I'm sure I stll have it here!) I really like the nostalgic, 1960's sound of this 1980's song. "They Don't Know" was written and recorded in 1979 by Kirsty MacColl. 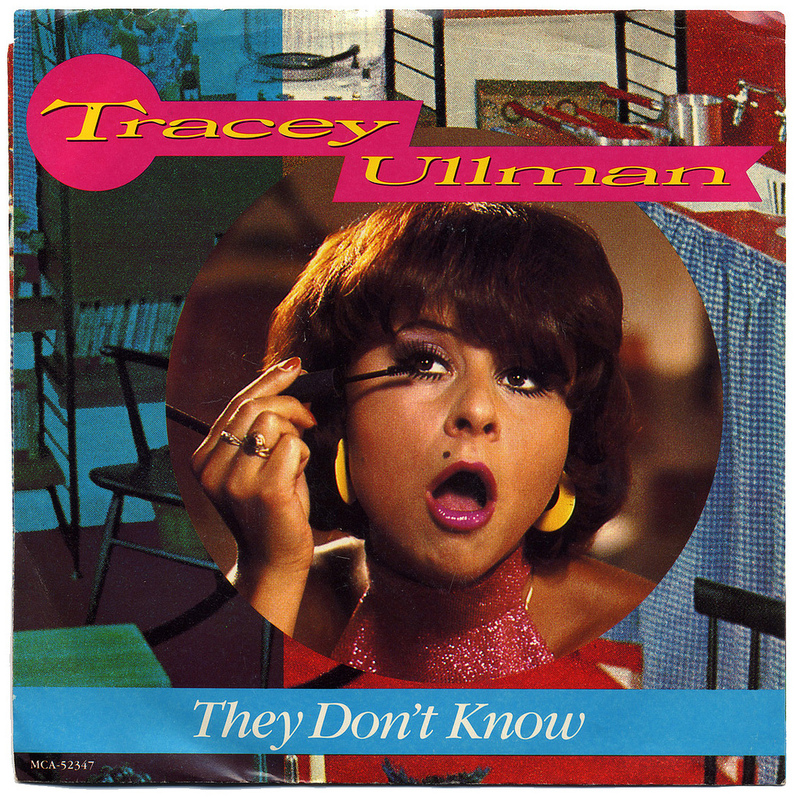 In 1983, Tracey Ullman recorded a cover of the song that became very popular in the U.K., and later in the U.S. as well. (It reached #8 on the Billboard chart.) The video is lots of fun, with bowling, home movies, some 1970's disco dancing, and a cameo by Paul McCartney. 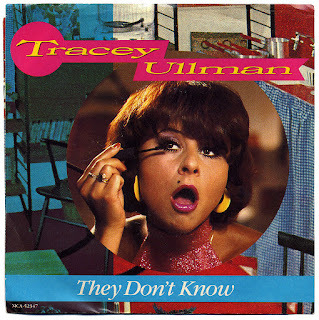 Later it was a theme song for Tracey Ullman's comedy show, Tracey Takes On. This song always makes me happy, and I hope you enjoy it too. I'd love to hear from you in the comments, below. I love 80s music, but this is one I've never heard! You're so right about the 60s vibe. Love it! Well this was a fun song to listen to first thing on a Monday! Loved this, thanks for sharing. Thanks for stopping by! I'm glad y'all enjoyed this song, too.